The heart of the MSI 870A-G54 motherboard is the AMD 870 chipset coupled with the powerful and feature-rich SB850 Southbridge. The motherboard features two PCIe x16 slots for CrossFireX multi-GPU technology support, ideal for building a powerful gaming rig. The board is also future-proof, with six SATA 6 GB/s ports and two USB 3.0 interfaces for next generation high-speed storage drives, 8-channel audio support and a physical switch for automatic overclocking. Though the motherboard’s layout is quite good, with accommodative SATA and IDE ports, the CPU’s voltage regulators lack a heatsink; a good, effi cient cooling case would be necessary in extreme conditions. 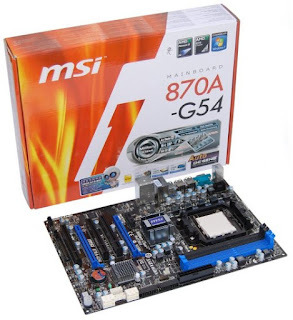 While comparing pure performance scores, the ECS A875M-A managed to beat this one with a marginal difference, but since the additional features of a motherboard can actually boost the overall performance, the performance and superior feature-set combined to help the MSI 870A-G54 motherboard grab the Best Performance as well as the Best Value title in its category. 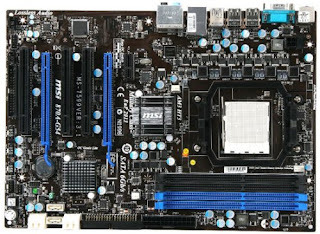 VERDICT: A feature-rich motherboard with a budget price tag. FOR: Good layout, Good price, USB 3.0, CrossFireX support.